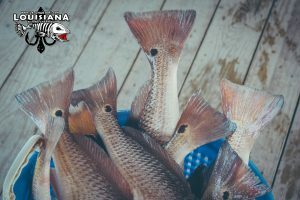 Redfish are Fired Up in Louisiana! I honestly don’t remember the last time we had a cold front this close to Memorial Day this week’s late season cold front certainly shook things up a bit in the marshes of Delacroix. 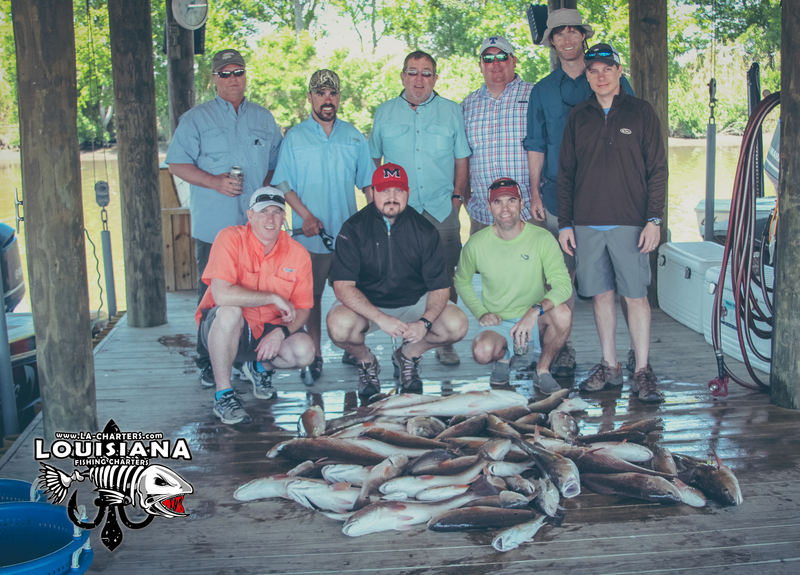 It was certainly a week that put our New Orleans Red Fishing skills to the test. We have been catching our fish mostly on the fringe areas of the marsh where big open bays lead out to Breton Sound. 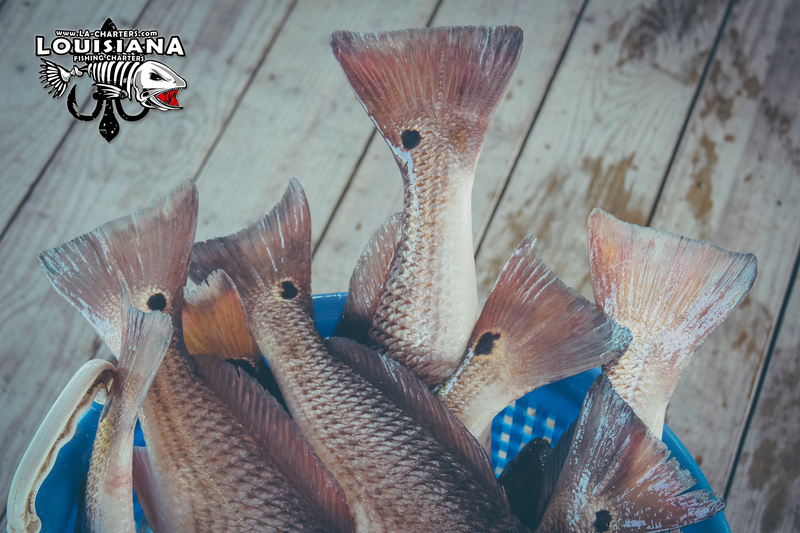 Shrimp are the food of choice for hungry redfish and just about the only way we can get them to bite is with live shrimp under a pippin cork. The cold front dropped water levels and pushed fish off the bank but as the water rises back to normal levels, those same fish will start to cruise the banks again. 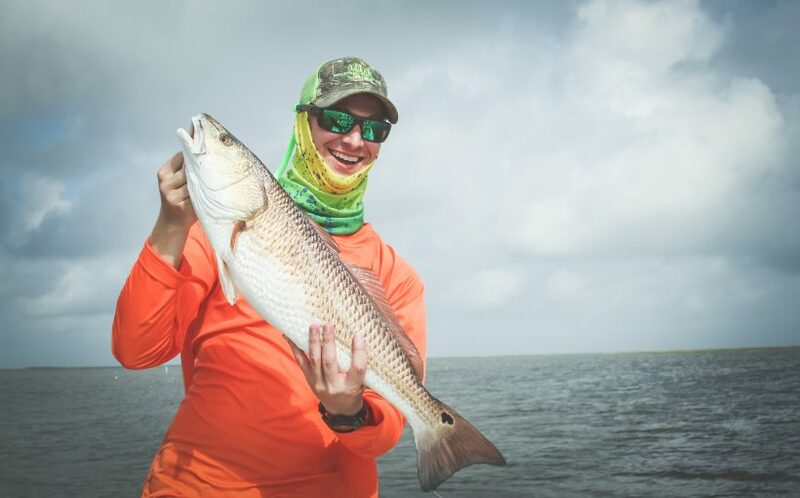 One thing that is right on time this season is the bright orange redfish that gather in the shallow flats all around Delacroix. So much of the marshland that existed before Katrina was turned into large shallow lagoons. 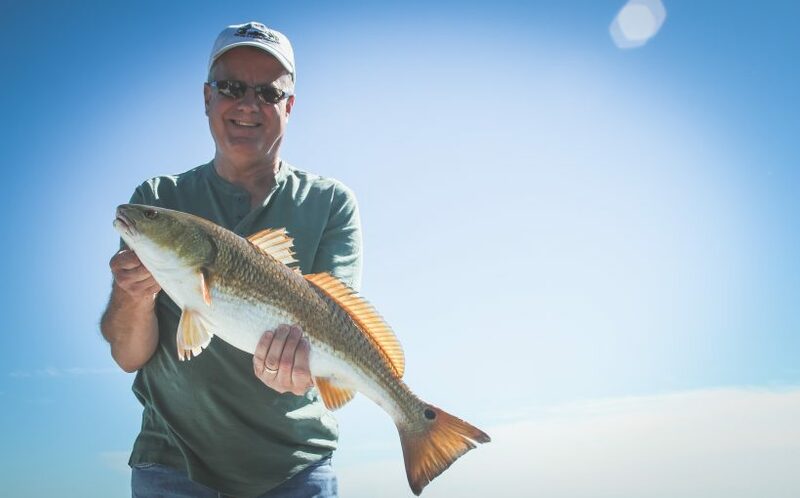 These places are key for finding some fun sight fishing action. Try to look for shallow 1-2 flats off of deeper 4-6 foot channels. Fish will move up onto these flats throughout the day. As a Louisiana fishing guide, this is one of my favorite ways to target redfish. 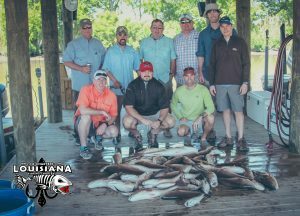 With the summer patterns now taking effect, book your New Orleans Fishing Charter with us soon. 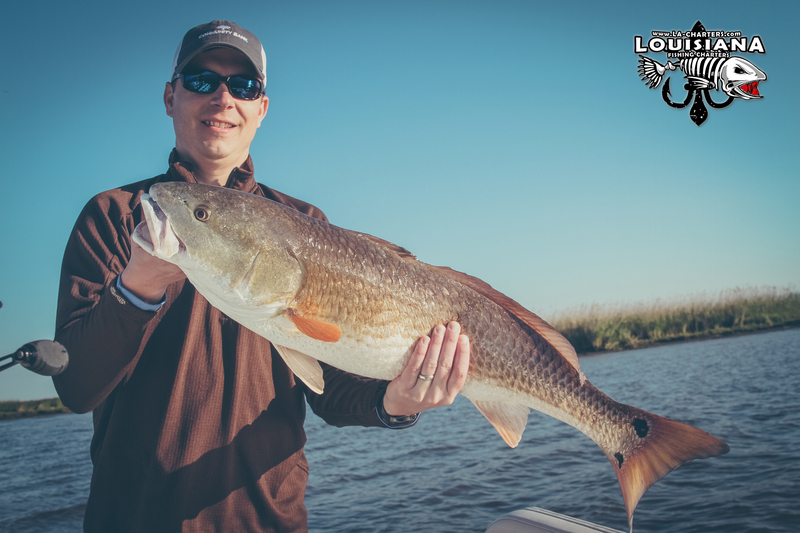 Summer is such a cool time to catch redfish cruising in shallow ponds and we have them figured out. The southern heat cranks up pretty good in the middle part of the day, so we try to leave the dock as early as we can to fish in the most comfortable part of the day. Tracking the fish everyday helps us to offer our customers this luxury. You won;t have to go looking for fish and spending the coolest hours of the morning on the chase. We have them dialed in and we will take you right to the action.